The beautiful Belgium is a country that has many reasons to be curious about and make you feel like jumping on the next plane. It is famous for being a gastronomy heaven as it is the universal home to chocolate and beer. Besides, it has a worldwide fame for having the headquarters of many international organizations, such as the European Union. Belgium, neighboring France, Germany and The Netherlands, is home to almost 11 million people in 3 official districts. The country is one of the European countries that still have and respect constitutional monarchy. 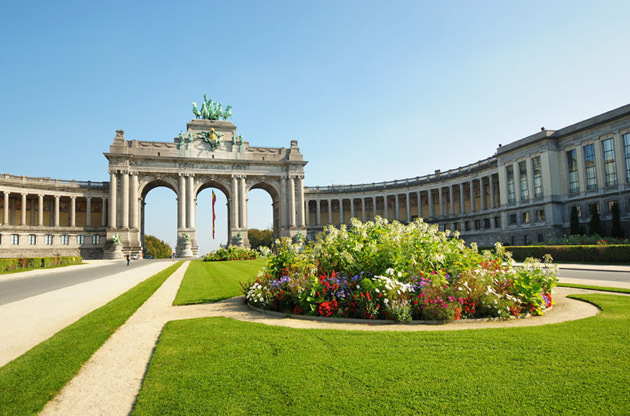 The capital Brussels is the cultural hub of Belgium and it is densely populated one. It is also the top choice of the travelers. However that would really be mean if the beauty and elegance of the other major cities such as Antwerp, Bruges and Ghent is underestimated. When it comes to the culturally and ethnically mixed aura of Belgium, it is possible to say that it is the major element that makes Belgium this rich. There are 3 official languages of the country; Dutch, French and German. The very well preserved historical heritage of Belgium creates the scenic look of the country that mesmerizes everyone who are lucky enough to have the chance to visit. A trip to Belgium means one of the tastiest and the most enlightening journeys of your life. Your conception of time will probably lose its meaning and you will be left with a feeling you cannot get more of the beautiful Belgium. With all the beautiful offerings of the country, get ready for an unforgettable time in this beautiful land. Belgium is located on Western Europe, being neighbors with France, Germany and The Netherlands. You can find the necessary information regarding Belgium’s visa procedure here . Belgian Cuisine is probably the first thing the visitors have an idea about before their trips to Belgium. I can see the point when the same happens to me when it comes to the chocolate and beer. This country deserves all the praise of its cuisine till the very end. Although it is widely thought that the cuisine of the Belgium is affected highly by its neighbors, Belgian people were able to keep that effect within a limit and were able to create unique dishes that will make you want to bite your fingers. The cuisine of Belgium has got dishes that are cooked with seasonal and regional ingredients. It is also accurate to say that it is based on meat; all kinds. The most famous dishes of Belgian Cuisine are Moules-frites (mussels cooked with onions, served with fries on side), Waterzooi (a sort of soup made out of fish or chicken, accompanied by eggs and cream) and Carbonnades Flamandes (the Belgian beef stew). If we are to talk about the chocolate and the beer in detail, then I would have to write another article for the just two of them. You will not be able to resist the chocolate and probably consume it in excessive amounts. There are more numerous brands and types of beer on the other hand. A visit to some of the breweries might be a good idea to taste some right on the place. Duvel is the brand one that you will see around the most and loved by even the locals. Belgium is one of the countries that offer a wide range of shopping alternatives to its visitors. In addition to the classic shopping malls, flea markets and shopping districts filled with worldwide famous stores are abundant in all parts of the country. What to buy from Belgium is a question that has countless answers. Depending on which part of Belgium you are travelling to, the regional items may vary however at least a bar of Belgian chocolate must be on in your bag. In addition, Bruges is a city that is famous for its laces. If you ever go around Antwerp, make sure to have look at the best examples of handmade Belgian jewelry. As I have said before, the capital, Brussels is the center of cultural activities in Belgium. There are a lot of palaces, buildings and museums to see. At the same time, the restaurants and pubs, theaters and festivals provide the visitors with a certain fun time in the city. Another major cities of Belgium, such as Antwerp and Leuven on the other hand, wink at a more traditional side of the country. Antwerp, successful at keeping Belgian at best, has got one of the biggest ports in the world and acts as the main source to region’s economy. One important thing about Leuven; it is the home to the world’s largest brewer group. Ardennes is the door of Belgium that opens to the nature. The region is filled with forests and simply a great place for nature sports. This is also the reason why it is the top choice by the visitors who have a couple of more days to spend in Belgium, after Brussels. Belgium has been a center for all kinds of international meetings, especially congresses, fairs, exhibitions, symposiums, conferences and trade shows for a long time. The professional attitude of the organizers, the location of the country and the cultural richness of the land, makes Belgium just the perfect country for event tourism. Especially the capital Brussels and other major cities such as Antwerp, Brugge and Gent have been hosting major international events successfully for years now.